Sketch No. 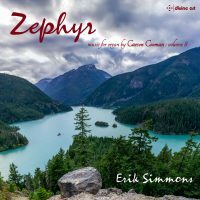 4, “Zephyr” (2017) is dedicated to Erik Simmons. The subtitle refers to “a gentle, mild breeze.” The piece is a small color study: outside with gentle wind on a day with muted light.